From light to shadow with a single gesture. The Greek goddess Theia – mother of the sun, the moon and the dawn – lends her name to this lamp, whose design seeks to express the beauty of light and the fascination we feel for it. In Theia, the materials and shapes are merely the physical manifestations of the underlying concept: merging both light and shadow in a single piece. Theia has two faces: to discover them, simply swivel the fixture around its central axis. It can be pointed towards you for use as a reading lamp, or towards an object or a wall, creating a subtle, indirect light that immediately warms the atmosphere. Because Theia’s metal lampshade is totally opaque, this swivelling movement totally shifts the perception of the piece. 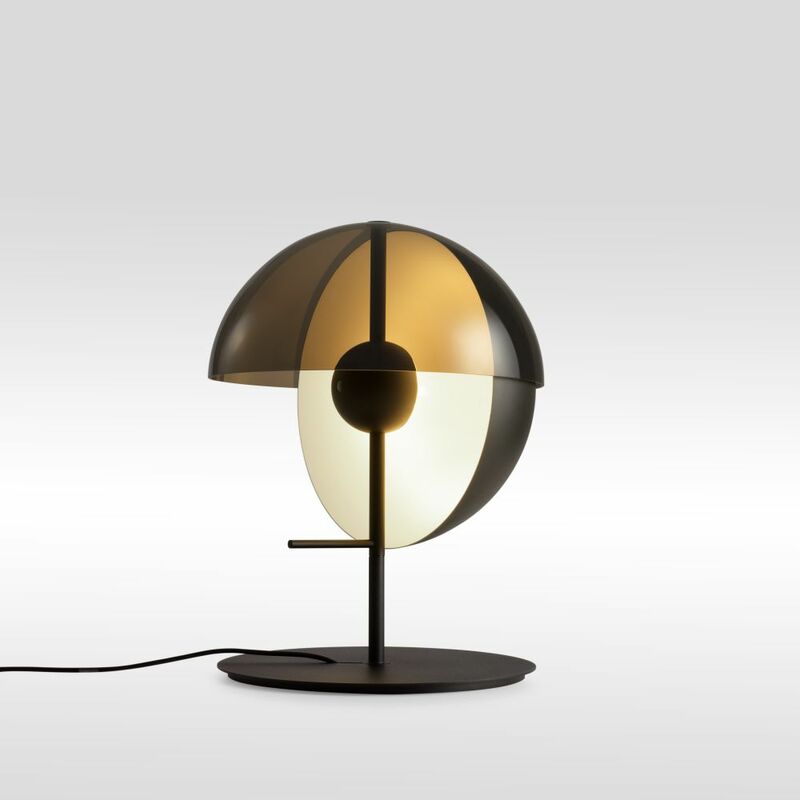 Theia’s formal design is elementary and streamlined: two half-spheres, one placed horizontally and the other vertically, which intersect with each other. Just as in nature itself, these formal elements make it possible for the light from a source to be simultaneously projected, reflected, and absorbed by objects for our visual enjoyment.